Ramachandra Guha's India After Gandhi: The History Of The World's Largest Democracy is a riveting account of India since independence in 1947. The narrative never flags. Historical figures are brought to life and history re-enacted in its pages. It makes you appreciate the greatness of Gandhi and Nehru as well as India as it is today. The leaders may have shrunken in stature, the country pulled in different directions by political parties representing various groups and communities, but democracy has deepened, not weakened, says Guha. The coalition governments that have come and gone over the past two decades are a sign that the country today can be governed only by consensus. No one can do another Indira Gandhi. She was Nehru's daughter in her secular outlook. Nobody can say she discriminated against any community though she was forced to fight Sikh separatists and sent the army after them into the Golden Temple, their holiest shrine, for which she paid with her life – killed by two of her Sikh bodyguards. But, apart from their secular outlook, father and daughter had little in common. Nehru respected democracy, the independence of the media and the judiciary. 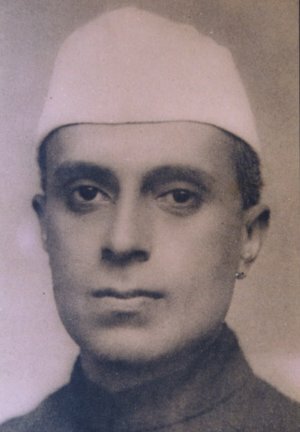 The Congress party in his time was also more independent, run by powerful politicians who did not necessarily listen to him though he was the prime minister and their leader. Nehru had friends even among his political opponents. Guha writes in absorbing detail about the countless actions taken by Gandhi and Nehru to keep India secular. He makes you admire them simply by describing what they did. This is not hagiography. Guha also mentions the mistakes Nehru made in Kashmir, with China, in bringing down India's first popularly elected communist government in the state of Kerala. the Bangladesh war, says Guha. Nehru had vacillated both during the first India-Pakistan war over Kashmir and then during the 1962 border war with China. But Indira undermined democracy, imposing the Emergency, censoring the press, sending political opponents to jail. By trying to be all-powerful, she undermined national unity – and her own party. The Congress was returned to power with its biggest majority in a sympathy vote for her son, Rajiv Gandhi, after her assassination. But by trying to appease everyone, both Hindus and Muslims, he allowed religious extremists to get the upper hand. Communal riots followed. And the Congress lost ground. Ever since, when it has come to power, it has always been at the head of a coalition government. But Congress' loss has been India's gain. Democracy is more deeply entrenched today, says Guha. And the Indian identity has grown stronger culturally and economically. Indians go to work or to do business from one state to another. Everyone watches Bollywood movies. This was far from certain when India became independent. Many of the erstwhile British masters expected India to break up. What did Madras (now Chennai) have in common with Punjab, they asked. Even after independence, there were dire predictions of the loss of Indian democracy and violent insurrections. But India survives. No wonder Guha ends on a hopeful note. India gives reason for hope.